Here is Part two of the story of my attempt to quailify for Boston. That is Karla and I with our age-group awards from the Ocean Isle Beach 1/2 Marathon in January. 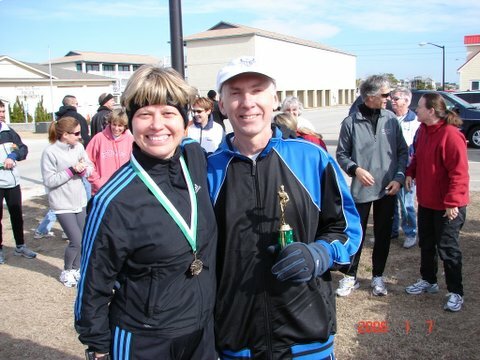 It was a tune-up race for the Myrtle Beach Marathon where I hoped to run my qualifying time.